When federal agents threaten his family, former outlaw John Marston is sent across the American frontier to help bring the rule of law. 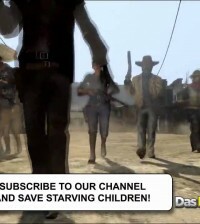 Red Dead Redemption is on our heels and we got a new trailer for you for this long awaited game. Saddle up and check it out below!